French artist Laurent Perbos belongs to the genre of artist that enjoys reappropriating the everyday and banal by converting it into art where it can be seen as playful, ironic and/or critical. 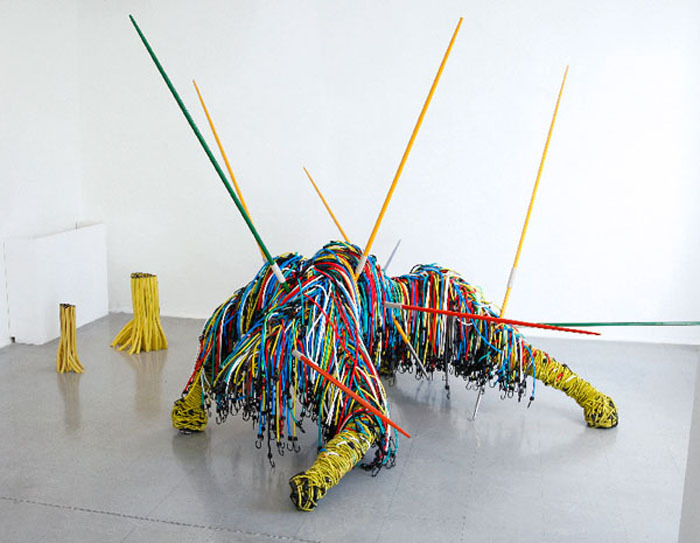 He uses materials such as sports equipment, pencils, pvc piping, just to name a few. 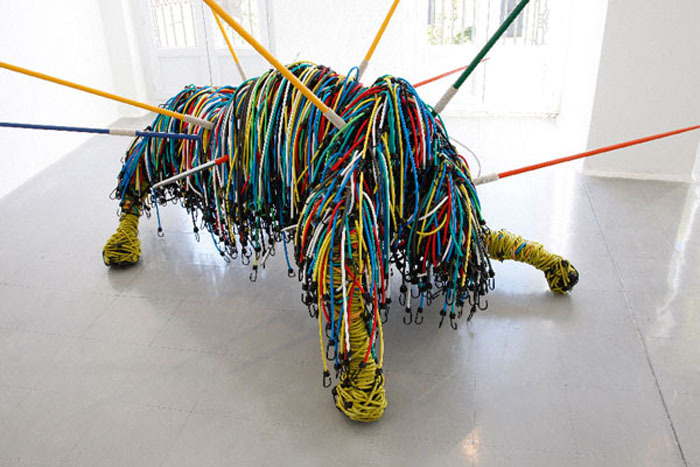 Many of his works reference mythological figures such as the sculpture at the top – made of bungee cords and javelins – titled Calydon, a wild boar from Greek mythology said to have been sent by the goddess Diane, that devastated the territory of Calydon. Below, Forest Tears, are trees and tree stumps made of pvc piping. Really wild and interesting stuff.